Spring is the perfect time for a beautiful bridal shower. 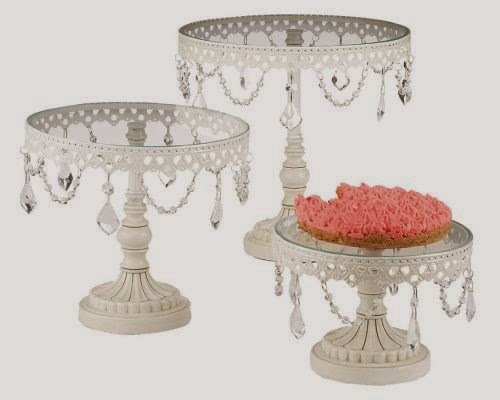 You can decorate with so many pretty floral-themed products and incorporate some shabby chic or some vintage glam. 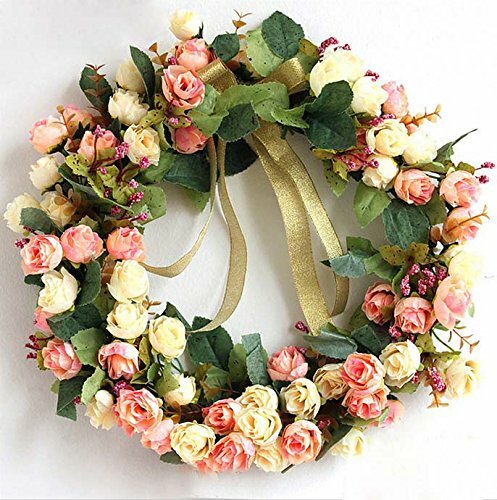 1.Spring door wreath - For a special occasion, decorating begins at the door. 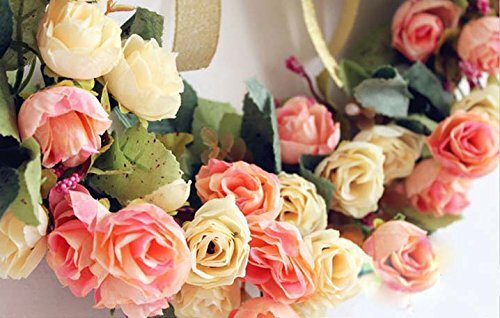 For a fancy spring shower, swap out the birthday party balloons for a beautiful floral wreath. 2. Signature White Wedding Invitations - Set the tone for the shower with an elegant floral-themed invitation. 3. DIY Tissue Paper Poms | Lia Griffith - The perfect elegant spring shower would have endless bouquets of fresh flowers, but that can be expensive. 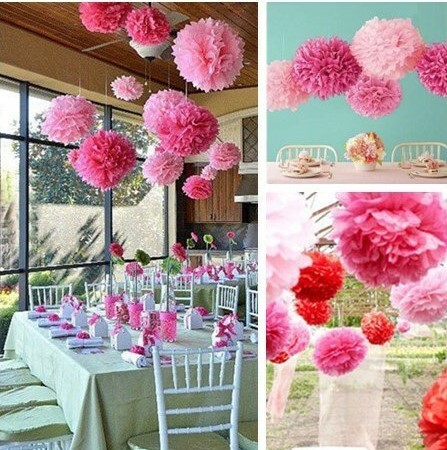 Save a ton of money with DIY flower poms. Make them in large sizes and cluster for decor then make smaller ones to top small favor boxes or to make a tissue flower garland. You can still mix in a few fresh blooms by the guest book and on the buffet or drink cart. *Tip: even the pre-made ones have to be fluffed and strung after purchasing. What makes flower poms such a cheap alternative is if you get crafty and make them yourself from start to finish. It does take a lot of tissue paper, but you can purchase that in bulk. It's really not that hard, I promise. 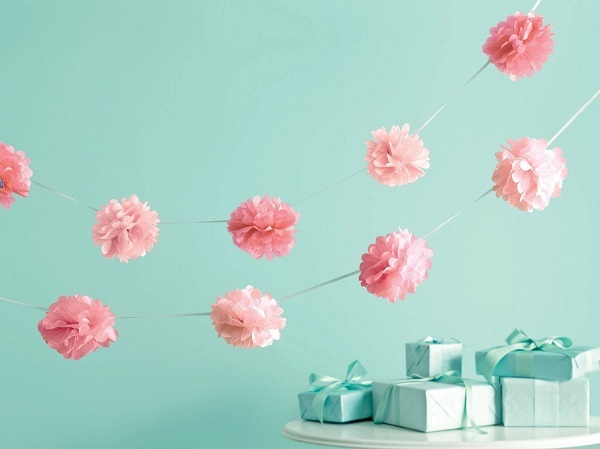 If you are capable of cutting paper and tying string, you can make your own flower poms. Alas, if you've completely been skipped by the crafty gene, you can purchase them. 4. 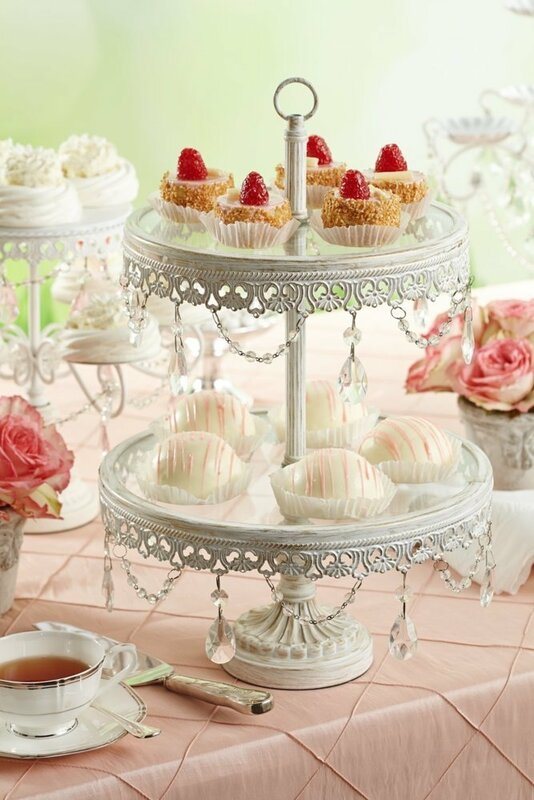 A Beautiful Dessert Buffet - I love to incorporate the food into party decor since it's something I have to spend money on anyway. Nothing is prettier than a table filled with colorful tasty sweets. 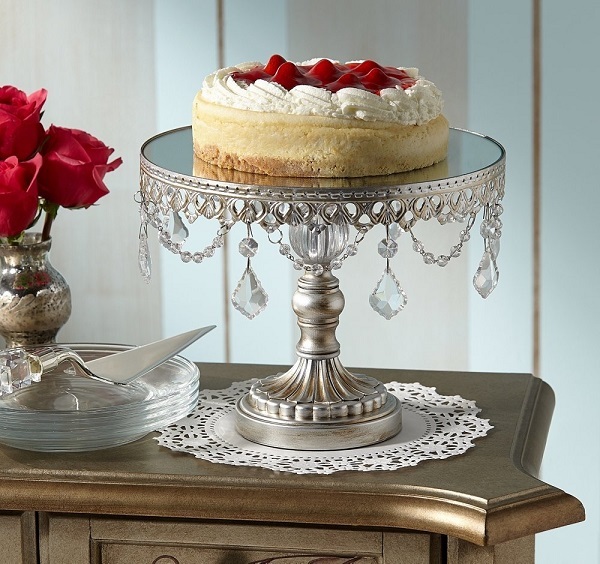 For a spring shower, garnish with fresh flowers and display desserts on fancy dessert stands. 5. Spring Inspirations 66 Gerbera Garland Multi Colored - Another way to incorporate flower into a spring showers is with a floral garland. Use it the same way you use traditional garland during Christmas; draped it over stair railing, a mantle, doorway, or around the buffet. 7.Creative Co-Op Shabby Chic Metal Birdcage Card Holder with Hooks, White - An inexpensive and meaningful way to decorate for a shower is to display pictures of the guest. Use this beautiful bird cage-themed wall display for a shower then use it afterwards as a memo board or to display your own pics. 8. Whole Leaf Tea Sachet Favors Personalization Available - Hosting a traditional afternoon tea for a bridal shower brunch is perfect for spring. You can incorporate the theme in the favors with personalized tea sachet favors. I find myself feeling hungry looking at that cake.